There have been some really thought-provoking discussions flying around the Asian beautyblog community, sparked by posts like How to Beauty Haul Responsibly by adoredee, How My Elaborate Korean Skincare Routine Helps Me Fight Depression by 50 Shades of Snail, Skincaretainment: Connection & the culture of Korean Beauty by fanserviced-b, and last week’s post on Thoughts on Hauling Responsibly, & Skincare as a Hobby. It's not always science and snails, sometimes it's science, snails, and serious topics. These discussions have been happening alongside an increasing number of requests I have received to assist with recommending products to resolve specific skin conditions and concerns, and the combination of factors spurred me to reach out to adoredee (who is a Consumer Psychologist as well as a Asian beautyblogger) to tackle another tough topic: Why bloggers can't definitively recommend products for you, no matter how much we want to help you out. And we do; most bloggers do it out of love and an interest in sharing with and helping others, but just because we want to, doesn't mean we should. She agreed, as she too has seen that the temptation to rely on the advice of your kindly bloggers is strong, and many people request assistance that bloggers may not qualified to give. I suspect that many bloggers, and readers, find themselves in this conundrum and I think it's worth talking about. 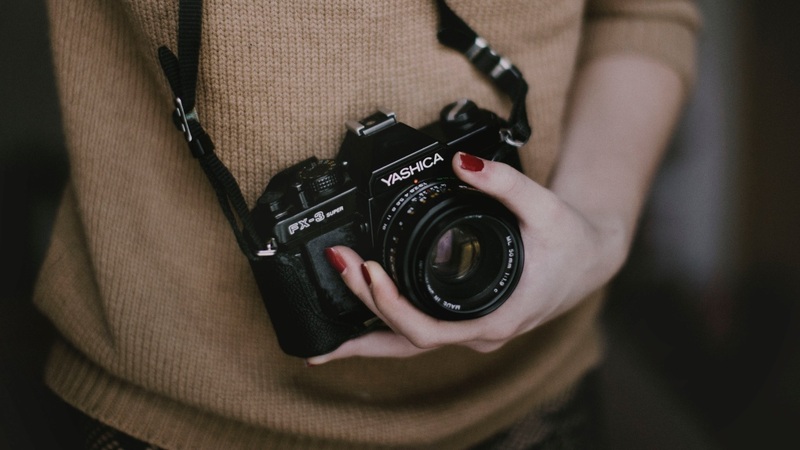 adoredee: Bloggers and blogs are an amazing tool that can offer information that’s a more personal experience than the promotional materials shared by a company. However, as useful as they are, they have limitations and it is important to know what they are before relying on them completely. Snow: this is new to me, but it makes perfect sense. 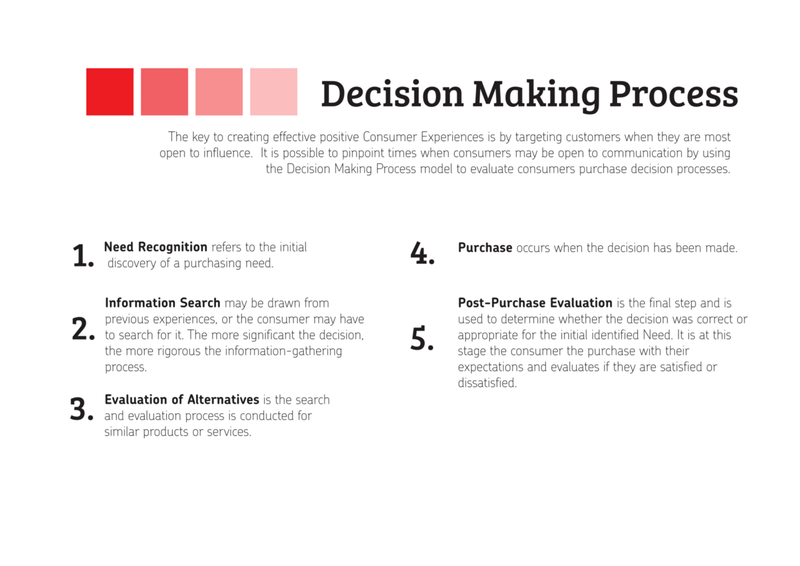 When you make a purchase, you subconsciously run through a series of steps that is called the Decision Making Process. There are five generally accepted steps, but the actual number of steps you run through largely depends on your level of Involvement, characterised as High or Low. For example, if you visit the dentist and had a cavity filled on your next shopping you might spend extra time selecting a toothpaste by checking reviews, reading the packaging or even calling to ask your dentist for recommendations. This would be a High Involvement situation. If you never have to get work done on your teeth, you might not care what brand you buy so you speed through the purchase, using mental shortcuts (heuristics) like familiarity, packaging or price to help you make the decision. This would be a Low Involvement situation. When Skincare is High Involvement, you're probably more likely to spend more time on of the Information Search of the Decision Making Process because it is important for you to get it right. When you're highly involved, in deep research mode, what do you do? You read as many reviews you can get your hands on, and the easiest place to find these are on blogs! Most blogs have comment sections so you can interact with the blogger and other readers to expand on ideas shared in the post. In addition to comment sections, most bloggers are on social media sites so you can interact with them directly. Which makes it really easy to reach out to them to ask them to clarify things they may have said or missed in their reviews. As a blogger I have to be honest that interaction is most excellent. Likes and retweets are great, but what’s more important to me are comments because I see every blog post as the start of a conversation. Things can get murky when everything a blogger says gets hit with the Argument from Authority Bias When you know the status of the blogger as being really active, knowledgeable and friendly, that can influence perception of the message. ie. If a blogger you like writes an awesome review and the product worked for you, you then assume everything they like will work for you, or they know exactly what will work for your skin. This is absolutely, 100% not even remotely true. I do not know everything about skincare, it is possible I know more, but that’s because I've read content written by people much smarter than me and I've retained that information. As a blogger, all I can do is share my own personal experience, nothing more. I'm a consumer just like everyone else, the only difference is that I share my research findings with whoever is interested in reading them in the hope that someone else uses it to help them make a decision. Snow: I'm going to start with the elephant in the room here, and get it out of the way. I am not a medical professional. I do not have the qualifications to recommend products for any sort of skin condition or concern. I cannot make recommendations for your skin type, nor can I tell you what effect a product will have on your skin. No blogger, unless they also happen to be a Dermatologist, Cosmetic Chemist, or other professional who is licensed to tell people what to do with their skin, can do this for you. 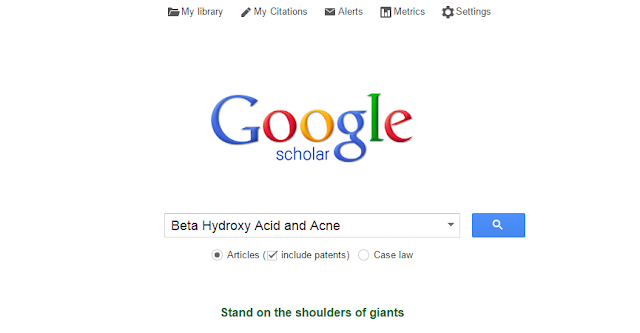 I'm just a skincare nerd who spends too much time with Google Scholar. Some weekends I spend more quality time with Google Scholar than with my spouse. That’s not to say that I can’t help you with recommendations if you are looking for something specific, for example: “What BHA do you like best? What AHA do you recommend? What’s your favourite serum for acne? I’m looking for hydrocolloid bandages, what’s the best one you've tried?” Not only are you asking for a specific product option for something you have already decided, on your own, that you want to try, you are also asking me for my personal experience- not my ‘professional’ recommendation. Conversely, if you ask me: “I need you to recommend a product for me. I have acne, oily skin, sebaceous filaments, blackheads, fine lines, and sun damage” I am not going to be able to do that. I feel badly that I can’t, because I want to help, but I can't. I can tell you that I found BHA to be the most effective treatment of my clogged pores, SFs and blackheads, and acne, and that BHA is a common active used by people for those concerns and has a scientific pedigree to back it up, but I cannot tell you to use it, nor can I recommend that you do so. In fact, as it is ethically and morally responsible for me to do, I will recommend that you seek the advice of a medical professional. This is especially true if you have a serious skin condition, such as cystic acne, rosacea, or eczema. Additionally, there is an entire can of worms in terms of liability and litigation involved with dispensing advice individually vs posting a review with which people may do as they choose. I think of it as a guest walking up to a brunch buffet I've made and choosing a PB&J, possibly risking peanut allergies but ultimately responsible for their choice, versus handing me their plate and asking me to choose a sandwich for them. Holy Grail or Holy Terror? What I don't have, however, is a study that states that the Su:m37 Miracle Rose Cleansing Stick (reviewed) is a good cleanser for acne. When it comes to that product, all I can do is state that it is a low-pH foaming cleanser, share my personal experience with how it impacted my skin, and leave you to decide what to do from there. As it happens, the Su:m37 MRCS does cause breakouts for many people, possibly due to the coconut-derived ingredients, so even being a low-pH cleanser isn't a guarantee. I can't advise you on what to do with your skin. I am a fan of ingredients analysis, researching studies, and exploring the science of skincare; but that doesn't mean I profess to be an expert. When I do write informational posts, they're based off multiple, full-text, accessible studies which I provide for the reader to make up their own mind after reading it. Also, I can only advise on how products worked for me, on my skin in my climate; such is the limitation of personal experience. Snow: Sometimes bloggers (and beauty product enthusiasts) joke that they wish they had more than one face, thus allowing them to test and use all the products they're keen on trying. This is doubly true when it comes to being asked to recommend products for other skin types, because quite frankly, I have no idea. In fact, as a Dehydrated-Combo-Oily-in-an-Arid-Climate skin type, I can't even recommend products for a Dehydrated-Combo-Oily-in-a-Humid-Climate skin type, because I have no idea how even my own skin type will react in a different environment. Anyone who has travelled a great deal can attest to the havoc that a different environment can cause, even when you have a stable routine. Even your trusty staple products can betray you when you throw a new factor into the mix. adoredee: I have Oily-Dehydrated skin that I'm now just realising is ultra sensitive to environmental change. Where my HG routine works flawlessly in one climate, it can become almost unworkable in another, making me wonder if it ever worked at all! My mother acutely experiences this as she lives in two drastically different climates, one hot/humid and the other extremely changeable. There are things like oil cleansing that she would love to keep for both climates because they work for her, but she really just can’t make them work for her in the other climate. It is extremely frustrating for her as it wasn't something you initially think about. Snow: Don’t despair over trying to find someone who is an exact match to your skin type/climate, however. Even though there are so many variables that can completely change your skincare landscape, it doesn't mean that those with different skin types cannot benefit from reading the reviews of bloggers who have a different skin types/climates than you. For example, a friend who lives in a temperate climate and has dry skin and rosacea still reads my blog and uses the info to make decisions about her skincare purchases; if something was too rich for me, it may work for her, and if something was too drying for my skin, she knows it’s going to be much too drying for her. I'm not going to deny (and I am sure adoredee agrees with me here) that it puts a tremendous burden of work on the reader to analyze a given review, the blogger’s skin type/climate, skin concerns, compare it to their own skin type, and then make an educated guess. It is. It’s the struggle we all face when considering what to buy; my Holy Grail may be adoredee’s Skinpocalypse. Caveat emptor, as they say. adoredee: This is so true! Skincare is a journey of educated guesses and trial and error. You make choices based on the information available to you and go from there. No matter how much of a skin twin you have in a blogger, what works for them may not work for you due to climate, hormones, emotional state (like stress), and even things like the hardness of the water. While Snow and I have similar products in our routines (the CosRx A-Sol springs to mind) we don't always use them in the same way. One example is the Mizon Snail Recovery Gel, I use it as a moisturiser, and Snow uses it as a sealant amongst other things. I actually got the idea of using it as a spot treatment from her review! Even though we have different skin types, from her review, and other reviews I knew that while it might not be enough for her as a moisturiser due to her skin type and climate it would probably be fine for mine, so I made an educated guess to try it. Far right; Cosrx A-Sol: same product, different skin, different use, different effect. Where Snow can use products with Niacinamide and tea tree, I cannot. Which means all the products in my routine and in my reviews will be free of those ingredients. It doesn't mean those ingredients are bad for everyone and should be avoided, it just means for me they're the opposite of awesome. So even though they are great for certain skin issues, I can't recommend them because I've found other workarounds and if someone has similar sensitivities, it doesn’t mean my work arounds will work for them either! Snow: The sad fact is, there are no shortcuts when it comes to the process of deciding what products to purchase, and judging their potential risk:reward ratio for your skin. As adoredee recommends in Figuring out your Skincare Triggers, knowing your ingredient triggers (such as her Niacinamide example above) is a huge step forward, as is reviewing the ingredients of a product for triggers. Here’s the caveat for that, though: just because a product has no Cosdna ‘red flags’ doesn't mean it’s guaranteed not to be irritating. Conversely, my skin is notoriously sensitive to oil cleansers, which trigger a nightmare of clogged pores and blemishes no matter how carefully I rinse and second cleanse. However, the LJH Dr’s Care Cleansing Oil (recommended by fanserviced-b), which contains more flags and potential triggers than you can shake a (Miracle Rose Cleansing) Stick at, is the only oil cleanser I have ever tried that my skin loved. Heck, even tolerated. When I asked fanserviced about it, I think her words of warning about the prevalence of triggers were along the lines of ‘death in a bottle’, but she loved it so much I wanted to try it. It’s incredible. First successful oil cleanser, Cosdna ingredient triggers be damned. You just never know. Sadly there are no shortcuts on this journey; even without a condition requiring medical advice, it takes time, research, testing, and trial and error before you find your way. Snow: Skincare is so personal, so unique to your skin, your environment, your health, your habits, that no matter how enthusiastic or helpful the blogger is, unless they are also a licensed professional, they can only show you the path they took. Your skincare journey is along a trail only you can blaze. I'll be cheering you on, though, and posting as much information as I can in the hopes that it may help others. It's worth the effort, I promise! Also, very special thanks to adoredee for bringing her amazing insight to this difficult topic! **Disclaimer: I am not a medical professional, just an enthusiast. All products mentioned in this post were 100% purchased by the authors and our opinions are entirely our own. Skincare is journey and no shortcuts.Deep! It's so true! It's so satisfying when you find something that your skin loves, though. This is all so very true. It's quite evident that one product can work differently for different people but sometimes people forget. Aw, thank you! Good luck with everything! Hello everyone. I'm a new subscriber and new to the Korean Skincare scene. I was wondering if there is a blogger that is my skin twin ? I have oily and aging skin. I'm looking to follow blogs and posts on products that cater to those categories. Any suggestions ?